Dont just be seen...BE REMEMBERED! Does your billboard ad make your brand stand out in a crowd? The industry standard for billboard visibility is SIX SECONDS! We do better! Typical billboards have a two dimensional appearance, people see them...and just keep on driving. They either love them or hate them and they rarely remember them. Advertisers come up with elaborate 3d designs to make their billboards more exciting, and it works. Statistics show a huge increase in PR impressions with these specialized billboards, but for Cheers Over California, that's just not good enough. Hot Air Balloon and thermal airship advertising has the unique ability to provide a 80 foot tall, and in the case of airships, 135 foot long billboard that will not only be seen, but will also be remembered, photographed and even highlighted on TV News broadcasts and in newspaper headlines, often front page, above the fold. A hot air balloon or airship is mobile and exciting, which means it goes out and finds its own spectators, generating its own publicity across the full spectrum of media resources. At balloon rallies across the country hot air balloons attract crowds from several thousand to as much as half a million! The Albuquerque International Balloon Fiesta is the #1 most photographed event in the world! 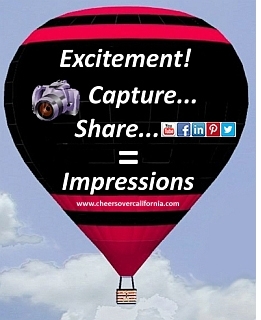 With the spread of social media and cell phone cameras, impressions you gain with a hot air balloon program will multiply exponentially as spectators share the pictures they take online. 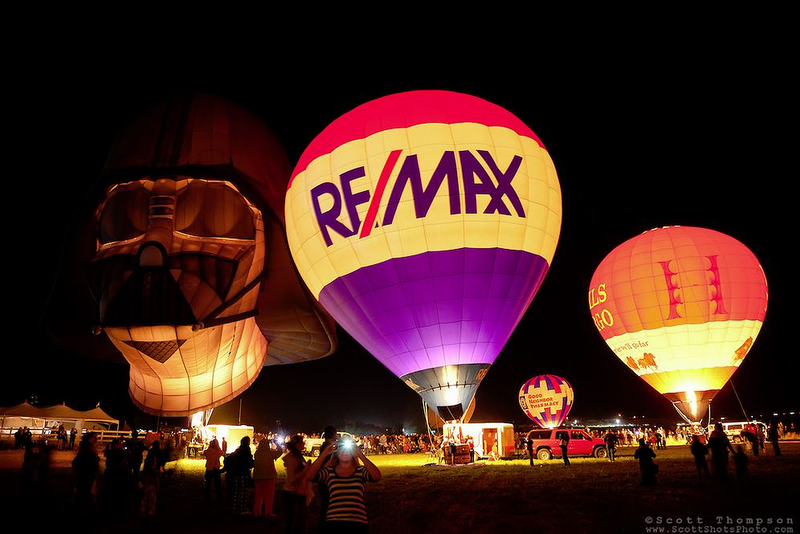 As a stand alone item, the balloon or airship will create an intensely appealing platform for your brand, but a balloon also gives added emotional appeal when used in conjunction with your existing advertising campaign. Your existing campaign becomes 3-dimensional and alive. Your potential customers will see your existing marketing programs with a whole new perspective. At Cheers Aerial Media our goal is to make your brand visible and memorable...and make people happy to see you.